Your LinkedIn headline is one of the most important parts of your profile, yet, you’ve left it up to LinkedIn. Today, go update your headline. By default, LinkedIn uses your current job title as your headline. Fix this today! Your headline is like a billboard. It makes the first impression. It helps determine how you show up in search results. It can determine whether someone clicks through to your profile. It’s marketing YOU. In other words, it is way too important to just let LinkedIn determine. 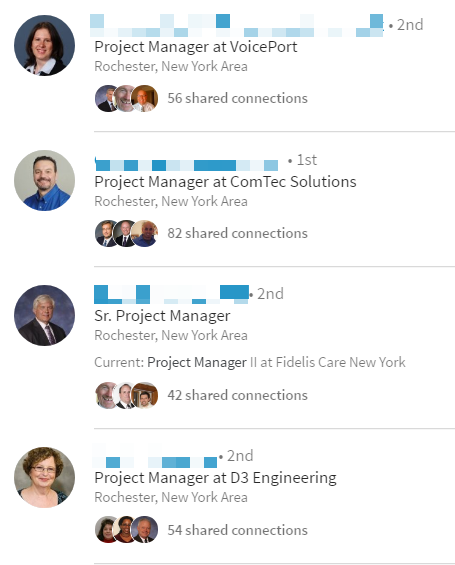 When anyone searches LinkedIn, the search results show this information: photo, name, headline, city, and shared connections. When I searched for “project manager” and selected the option to search for “people” and this is what I found. The results show people who have the title in their headline. But that’s all they have and as a result, they all look the same. In reality, very few people would do this because I got 8,020,027 results for project manager, but I wanted to show you how unimpressive/generic these headlines look. Recruiters use very specific keywords to search LinkedIn profiles – technology (software), processes and procedures. They search for specialties, not generic competencies. These are the words that should be in your headline (and summary and listed in your skills section). They missed the opportunity to talk about the skills or experiences that make them unique. 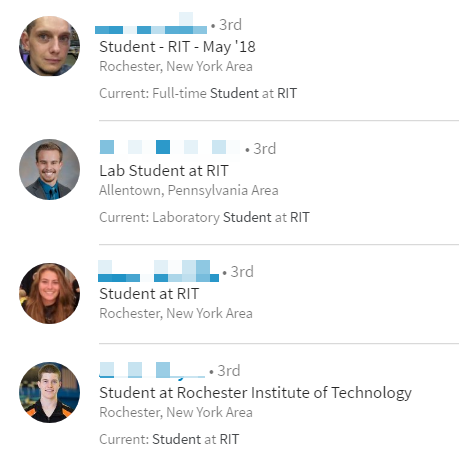 RIT has a great co-op program and almost every student will get hands-on work experience. But we don’t see anything in these headlines. Does your headline share enough to make someone want to click-through? You need to write your headline so that it differentiates you. This can be done in many ways and there isn’t one formula that fits everyone. 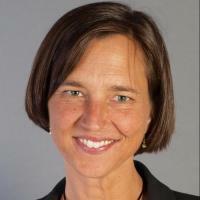 Jenny Foss wrote about what you can do to spice up your LinkedIn headline in this Muse post. By the way, if you don’t have a value proposition or need to refresh yours, please see this article. You have 120 characters to highlight what you do or what you want to be known for. Make each word count. And always think about the keywords/terms someone would use if they were looking to find someone just like you! HOT TIP: If you use the LinkedIn mobile app from your phone, you can increase your headline to 200 characters! Thanks Brynne Tillman! 120 characters isn’t a lot – make every word count! There are mixed opinions about calling yourself a guru, expert, or rock star, so I wouldn’t recommend using them. The word “Professional” is 12 letters long and says absolutely nothing. Eliminate this word. No one is ever going to search for it either. Don’t include your school, degree or current employer. This isn’t an absolute rule, but a strong recommendation. This information is already in your profile. “Seeking next opportunity” sounds kind of desperate, doesn’t it? Why would someone care if you are looking? What they want to know is what value you deliver. 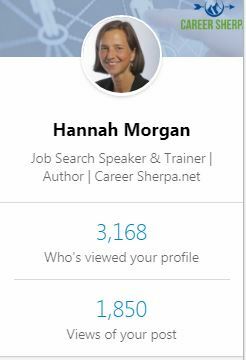 And if you want recruiters to know you are open to new opportunities, then change this setting in your LinkedIn profile. How LinkedIn’s Open Candidate Can Save You Time. You could also use #ONO (open to new opportunities). None of these headlines are specific or unique to the individual. Here are some ideas for you, but let me emphasize, you have 120 characters to sell your first impression. These all have room to tell more! If you are an MBA candidate, check out this article: What’s the Best LinkedIn Headline for an MBA Candidate? You probably didn’t even know you could edit your headline. 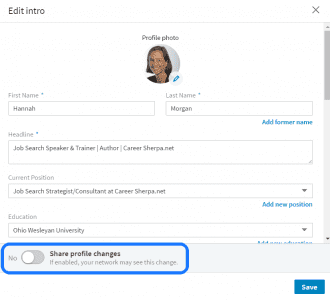 By default, LinkedIn uses your most recent job title and employer. I guess that’s better than nothing…maybe. First, go to your profile page and look for the blue pen to edit. 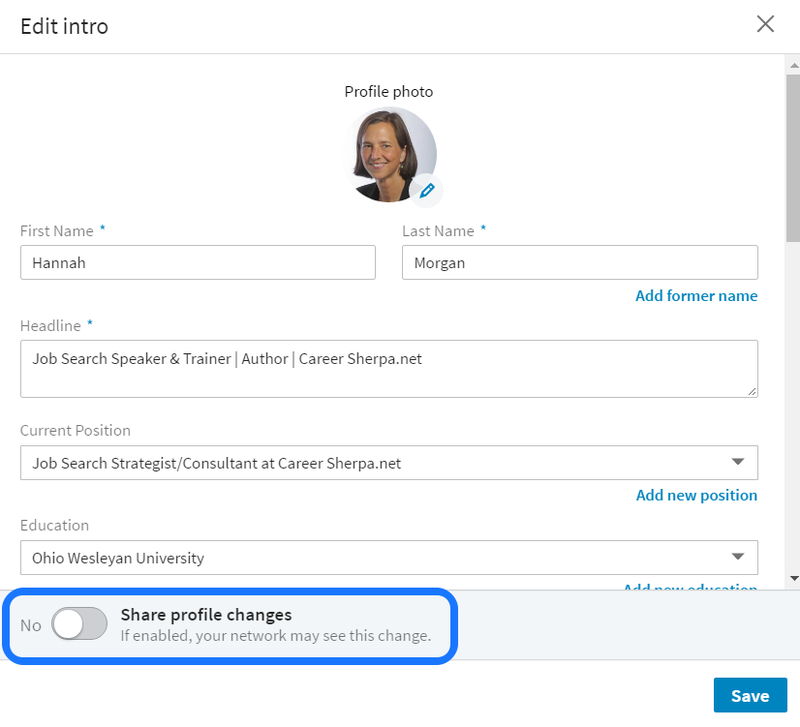 Before you save your changes, do you want everyone you are connected to on LinkedIn to get notified of your changes? If you are actively job seeking/unemployed, then your answer is probably yes. If you are in a covert job search, the answer might be no. You can change your privacy settings. Look for Turn on/off your activity broadcasts. Now the fun begins. Over the next week, keep track of how many people view your profile. If the number is greater than before…take note, that’s a good thing! If not, give it another week, and if you still don’t notice an uptick in profile views, you will probably want to change it again. Be sure you get feedback from people you value and respect! Not sure how to check how many people have viewed your profile and where they’re from? From your LinkedIn homepage (main screen) on LinkedIn, this appears on the left side of your screen. Or, when you are viewing your LinkedIn profile, this dashboard appears near the top. 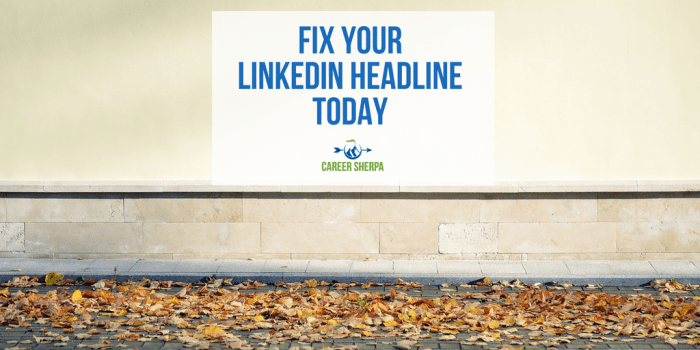 Your headline alone isn’t enough to get people to look at your LinkedIn profile. Try some of these tricks!